Have you been accused of destroying evidence in California? We’ve all seen the movies. When a guy is part of a criminal investigation and the police are closing in, he goes home, starts gathering up all the documents or any other incriminating evidence, and throws it into a big bonfire, or flushes the documents down the toilet, or otherwise gets rid of it. Now it may seem like there’s no evidence and therefore, no crime. However, this very act itself is a crime. California Penal Code 135 PC states that any person who, knowing that any book, paper, record, instrument in writing, or other matter or thing, is about to be produced in evidence upon any trial, inquiry, or investigation whatever, authorized by law, willfully destroys or conceals the same, with intent thereby to prevent it from being produced, is guilty of the crime of destroying or concealing evidence. You willfully destroyed or concealed the same, with the intent to prevent it from being produced. Under California Penal Code 135 PC, destroying or concealing evidence is a misdemeanor offense. If you are convicted of this crime, you face up six months in county jail and/or a $1,000 base fine. Our attorneys are very well-versed on the best possible defenses to a PC 135 charge. There is no current criminal investigation or prosecution – If no one has contacted the police, and no one is investigating a possible crime, then there is no active investigation and the evidence can be destroyed or concealed. You did not have knowledge that the item in question was evidence in a criminal investigation or prosecution – If you weren’t aware that there was any active criminal investigation when the item in question was destroyed or concealed, then you cannot be convicted of this crime. You took no intentional actions in order to destroy or conceal the evidence – If the item in question was destroyed or concealed by accident, such as spilling paint onto a document, or that it was burned in a house fire, or it fell behind a bookcase, then you didn’t take any conscious act in destroying or concealing the evidence and you should not be convicted of this crime. The items were not actually destroyed nor concealed – If the item survived destruction and is able to be restored, or the item in question being concealed didn’t cause any actual delay in being obtained because officers knew exactly where the item was (because they saw where the item was being put for example), then you cannot be convicted of concealing or destroying evidence. Can I be convicted of destroying or concealing evidence if someone told me to do it without telling me why? No. If you had no knowledge that the item you were destroying or concealing was part of a criminal investigation, then you cannot be convicted of concealing evidence. What if I accidently destroyed the evidence? If it can be proven that your actions were not volitional, then you cannot be convicted of destroying evidence. What if it’s already hidden or destroyed before the criminal investigation starts, and I don’t reveal it upon the demand of an officer? If it wasn’t done during an active investigation, then you cannot be convicted of destroying or concealing evidence. What if I know there’s a criminal investigation and I’m on the way to destroy or conceal evidence and the cops catch me before I can get to where the evidence is, can I be convicted? Even if the officers are well aware of what you were on the way to do, if you didn’t actually destroy or conceal evidence, you cannot be convicted of this crime. What if I destroy or conceal evidence, but an officer sees me do it and immediately is able to find it or restore it, can I be convicted? No, at worst you can be charged and convicted of an attempt to destroy or conceal evidence. Destruction demands that it becomes unusable, and concealing demands that it the item cannot be produced. If the evidence is still usable or can be produced at trial, then you cannot be convicted of destroying or concealing evidence. What if I hide the evidence, but it’s eventually found? While the evidence was found and still able to be used in court, for a period of time it could not be produced, thereby it was concealed, and you can still be convicted of concealing evidence. Don’t go through the legal battle alone. We will get through this together. If you or a loved one has been charged with destroying or concealing evidence, you need to contact an experienced criminal defense attorney immediately. At Wallin & Klarich, our skilled attorneys have been successfully defending clients facing charges of destroying or concealing evidence for over 30 years. 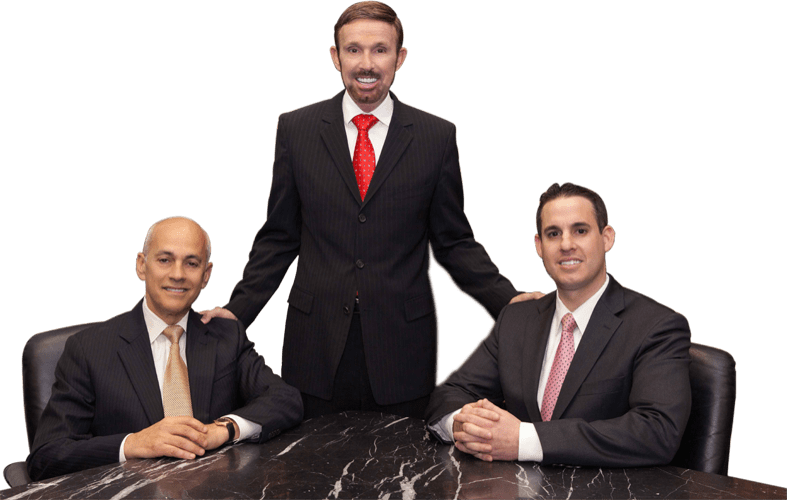 We will meet with you immediately to review the fats of your case, and plan a defense strategy that will help you get the very best outcome possible.